Hello, everybody. It’s good to be with you again today. 리오라 선생님, 오늘은 어디로 떠나볼까요? Today we’re going to take a little trip to California, near Palm Springs, California, and just east of Los Angeles, to the Joshua Tree National Park. The Joshua Tree National Park is, driving distance, about 2 to 3 hours east of Los Angeles, and it’s about 140 miles. ‘Joshua Tree, 즉 여호수아 나무라는 것은 나무 가지 끝에 길쭉하고 뾰족뾰족한 잎들이 뭉쳐서 나 있는 유카의 일종입니다. It’s in the family of yucca plant. Oh, there were wind turbines just like the ones we saw in Kansas. Wind turbines, 발전용 풍차를 ‘wind turbines’라고 하지요. 캔사스 주에서 본 것은 풍차가 200여개 된다고 했던가요? Palm Springs 인근에 있는 풍력발전용 풍차는 3,200개 이상 된다고 하더군요. Wow, wow, a lot of wind turbines. 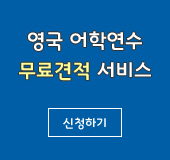 팜스프링스 인근 ‘San Gorgonio Pass (샌 고르고니오 패스)’라는 곳인데 계곡과 산등성이를 가득 메운 3000 개 이상의 ‘wind turbines’, 즉 풍력 발전용 풍차가 장관을 이루고 있더군요. 요즘 미국과 세계 각국에서는 환경 친화적인 에너지 개발에 박차를 가하고 있지요. 환경을 오염시키지 않고 미래의 에너지 고민을 해결할 수 있는 풍력 발전소가 남한이나 북한에도 좀 더 많이 건설되면 좋겠군요. 여호수아 나무 국립 공원에는 볼만한 것들이 많지요? Well, there’re a lot of things to look at at the park. Of course there was a lot of Joshua trees. 여호수아 나무는 따뜻한 지역에서 잘 자라고 건조한 지역에서도 잘 자라는 식물이지요. There’re many yucca plants especially in a dry desert type environment. Although they grow anywhere where it’s pretty warm. The Joshua Tree is a member of the lily family. 여호수아 나무는 잎이 길쭉하고 억세지요. 북미 인디언들은 여호수아 나무 잎을 이용해서 신발도 만들고 바구니 같은 생활용품도 만들었다고 하지요. Yes, the leaves on the plants are very tough. And the Native Americans did use it to make sandals and they also made baskets out of it. 그리고 여호수아 나무 꽃봉오리하고 씨를 식용으로 사용했다고 하죠. And then they roasted the flowers buds and seeds, and it was kind of a little bit of a healthy addition to their diet. ‘Joshua Tree’라는 나무의 이름은 모르몬 교도들하고 인연이 깊다고 하더군요. The Mormons named the trees Joshua trees because they look like, the trees looked like Joshua leading the Mormons to the West. And that’s why they named it Joshua tree. 여호수아 나무 국립공원에서는 무엇을 할 수 있을까요? Well, there’re lots of things to do there. There’re beautiful huge rock formations that are very different and fun to look at. 모자처럼 생긴 ‘Cap Rock’도 그 중 하나이죠. The park has many hiking trails and campgrounds. You can either drive your car around the park, or you can ride mountain bikes in the park. 여호수아 나무 국립공원은 사막의 경이로움과 아름다움을 갖고 있습니다. 1930년대 이 곳에서 선인장이나 돌을 가져가는 등 자연을 훼손하는 사람들이 있었다고 합니다. 어느 부유한 여성이 ‘President Roosevelt’에게 건의해서 1936 년에 루즈벨트 대통령이 국가 기념물로 지정했고, 1994년에 국립공원으로 지정되었다고 합니다. Joshua Tree National Park is open year round. 미국내 국립공원 요금은 어느 곳이나 비슷하지요. 이 국립공원의 경우 차량 한 대당 일주일에 15달러, 1년 이용권 요금은 30달러입니다. It’s very reasonable to visit the park. You can buy a 12-month pass for 30 dollars, or you can buy a vehicle pass for $15 for seven days. 이 곳을 방문하기에 가장 좋은 계절은 아무래도 봄이 아닌가 싶습니다. 모든 꽃들이 피는 봄철이 방문하기에 가장 좋은 시기일 겁니다. 웰컴투아메리카, 오늘은 캘리포니아 주 남부에 있는 Joshua Tree National Park을 찾아봤습니다. 지금까지 저 박형권이었고요, Leora Andersen과 함께했습니다. 다음 주 이 시간 다시 뵐 때까지 건강하시고 행복한 한 주일 되시길 바랍니다. 안녕히 계십시오. It was nice to be with you again.